I do enjoy a holiday by the sea – the salty breeze, fish and chips and rows of brightly coloured beach huts are my idea of heaven. But I think I’ve found a new passion: lake life. Our last adventure of the summer was a mobile home holiday in the Italian lakes and I didn’t miss the briny air one bit. We were invited to spend a week with Al Fresco Holidays in Italy and stayed with them at Camping Eden, Lake Garda. So one week before the end of the school holidays off I flew with the girls and Tin Box Grandma and Grandpa in tow. Sadly Mr Tin Box had already gone back to work so he wasn’t able to join us but it did give us the opportunity to enjoy our first multi-generational holiday abroad. We had a brilliant week exploring Lake Garda and enjoying the great family-friendly facilities of Camping Eden. We even squeezed in a day trip to Venice. Here’s an overview of what we got up to during seven days at Lake Garda in Italy. You can read my review of Camping Eden here and get some inspiration from my separate post about more things to do in Lake Garda. We flew into Verona in the middle of a storm which continued to rage long after we picked up our hire car and got utterly lost in the spaghetti junction beside the airport. The journey from Verona to Camping Eden on the South West side of Lake Garda should take about an hour but we got so muddled in the sheeting rain that it took more like two. I could not have been more relieved when we saw signs for Camping Eden and tantalising outlines of Lake Garda with twinkling lights on the far shore. The next morning it was like we’d woken up in a different place. The storm had passed and what had been rivers of rain were now mere damp patches being steamed away by the sun. And then there were the milky blue Italian mountains – amazing! We spent our first full day relaxing by one of Camping Eden’s pools and dining out at the restaurant which overlooks the lake. The girls loved the slides and splash park at the bottom end of the terraced campsite which we visited almost every day for the rest of the week. Lounging here also gave us adults time to recuperate after our long and mildly traumatic journey. Eden was certainly living up to its name. The next day we found Camping Eden’s private beach with grassy terraces for campers to lounge on and a pontoon stretching out into the clear waters. I say ‘found’ but in fact the beach is hardly hidden. It’s just opposite the entrance to the campsite. Tot was in love. We spent ages bobbing around in the waves created by passing speed boats and ferries before heading back to the pool. By day three we felt suitably rejuvenated and decided it was time to explore further. The closest port to Camping Eden is Portese which is just a 15 minute walk away. From here you can catch ferries all over the lake. We opted for a relatively short voyage to Garda on the East side. The journey took just over an hour (an hour and 20 mins on the way back) and cost €46.80 for a Happy Families ticket for two adults and up to two children aged between four and 12, plus €16.40 for an additional senior citizen. The ferry picked up more passengers on the way giving us chance to view the pretty towns of Salo, Gardone Riviera, and Maderno from the water. We had four hours to explore Garda before our return trip on the Andromeda which is run by Navigation Lago Di Garda – the same company that operates ferry services on Lake Como and Lake Maggiore. In this time we browsed the old town, had a dip at one of the beaches, ate far too much gelato and took a ride on the tourist train. Oh, and there was the odd view to admire too! Read about more things to do in Lake Garda. Venice was a bit of an ambitious venture from our base at Camping Eden on Lake Garda but it is achievable if you decide to try it for yourself. You can either drive 30 minutes to Desenzano del Garda and catch a train or drive two hours and 20 minutes, like we did, to Fusina Terminal and catch a ferry. It was long day with five-year-old Tot and three-year-old Baby starting at 8am and ending at about 9.30pm, but it was well worth it. This was my first visit to Venice but the Tin Box grandparents have been twice before. They acted as our tour guides before we met up with Gaia from Macaco Tour who gave us a wonderful child-friendly tour of Venice. Even the Tin Box grandparents and I learnt a few things about life in the city, its symbols and the creatures that live in the lagoon surrounding it. Venice is just like you see in the movies – stunning! I’ll be writing more about our day there and our experience with Macaco Tours another time. After a full on day in Venice there was nothing else for it than to catch up on chill out time at Camping Eden. We hit the pool, relaxed in our Vivaldi 2 Al Fresco Holidays mobile home and had a float about in the lake. To complete the day we sat on the roof terrace above the Camping Eden restaurant slipping cocktails and slushies as the sun went down. We woke up on our final full day at Camping Eden to clouds and drizzle. It was a little sad after such a beautiful evening the night before but it didn’t stop the girls demanding a dip in the deserted pool to start the day. I admired them for their true British grit as I found shelter under a pool-side canopy. After lunch we wandered down to Portese and caught the ferry to the neighbouring town of Salo. It dates from Roman times and was once the capital of Mussolini’s republic. But less controversially it has Lake Garda’s longest promenade. I think we walked a good chunk of it and very pretty it was too. This is also where the girls sampled one of their best gelatos of the holiday at Barcadero by the ferry pontoon. We were genuinely sad to pack up and leave Camping Eden on Lake Garda on our final morning. The site is excellent for families and Al Fresco Hoiday’s group of mobile homes are ideally located close to all the main facilities. 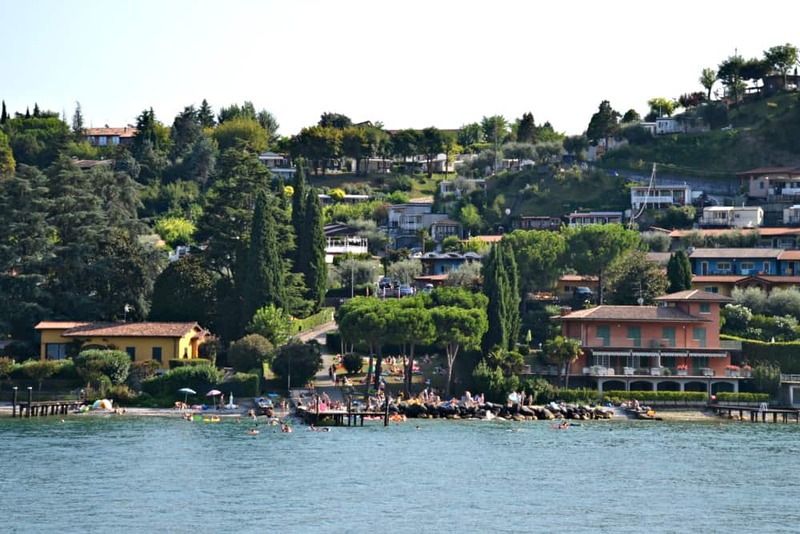 Add to that the incredible location and this is a winning campsite for families planning a holiday at Lake Garda. Read our full review of Camping Eden, Lake Garda days out and our day out in Venice. 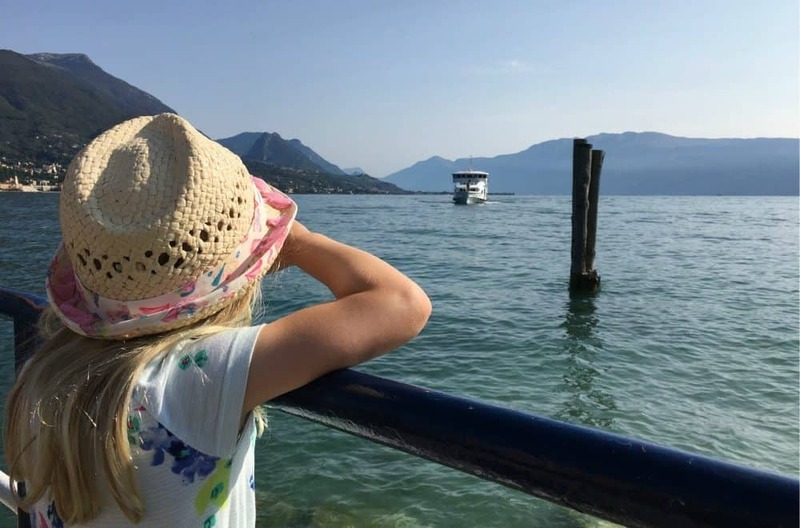 If you’re looking for more Lake Garda holiday inspiration then check out this post I wrote about camping at Lake Garda before our trip. 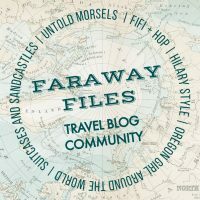 Disclosure: we were guests of Al Fresco Holidays and received our accommodation, car hire and flights in exchange for coverage on the blog. We paid for our own food and excursions (with the exception of our Macaco Tour) during our stay. It sounds like an utterly lovely week Claire. Loved following your adventures on IG. What a view from your mobile home!!! Bet you are missing that and swimming in the lake this week. It was wonderful. Lake Garda is somewhere I’d love to return and explore more. The views from Camping Eden were fabulous. Sadly the view in the post isn’t from our mobile home but we could see a hint of the mountains. This really does look lovely. For some reason I’ve never thought about staying in a holiday caravan in Europe but this sounds great. I look forward to your Venice write up. I absolutely loved following your trip on instagram. Lake Garda is such a special place, it was our first holiday as a couple pre kids and we loved it. You had some wonderful views from Camp Eden didn’t you? It was a fabulous site – definitely recommended for mobile home, caravan and camper holidays! What a wonderful week- I am a seaside fan but I definitely think I could be converted to this lake. Such a lovely mix of chilling out and lots to explore too. Exactly. I could have stayed at least another week for more of the same! I do love a lake! Also love Al Fresco! I love a holiday by the water be it lake, river or sea! I love that your little Brits swam in the rain.. I’m not sure mine would! What an amazing adventure for your family! 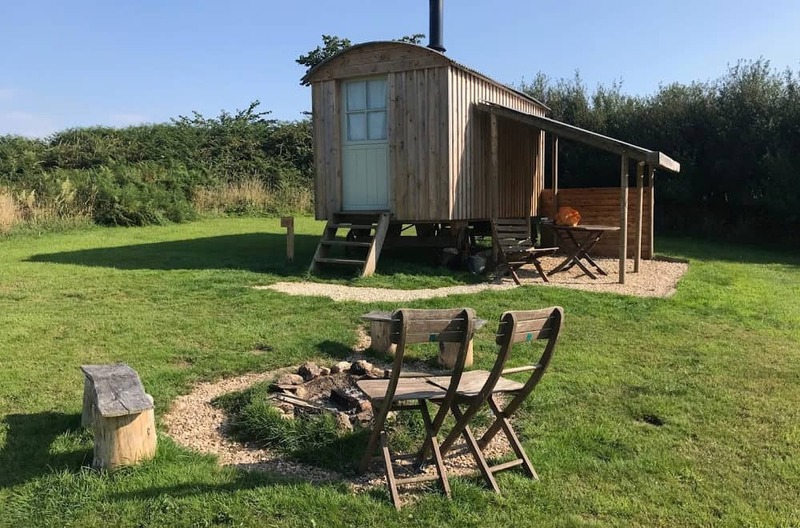 It was perfect for a mixed holiday with kids – we loved it! It was fab. I hope we get to go back again like you! Oh it looks beautiful there. As you know we enjoyed a trip to Lake Maggiore this summer – Garda looks just as wonderful. I’m very jealous of your day trip to Venice – it’s somewhere I’ve always wanted to explore. Already looking forward to your write up of it. This sounds like a great place for families to stay. Brilliant that you managed to visit Venice while you were there.